Marvel’s Guardians of the Galaxy, the action-packed epic space adventure following a ragtag band of disparate misfits, debuts with a one-hour special on Saturday 7th November at 8am on Disney XD. Marvel’s Guardians of the Galaxy features themes of redemption and the importance of friendships and family told through a series of sequential story arcs. The series follows the newly formed team that finds a strange artifact keyed only to the DNA of Peter Quill. Upon opening it, Quill unleashes a treasure map leading to a powerful weapon known as the Cosmic Seed, which is capable of giving birth to the next universe. It’s up to the Guardians to find, protect and ultimately destroy the Cosmic Seed in order to keep it out of the hands of those who would abuse its power, from galactic big boss Thanos to the conniving brothers the Collector and the Grandmaster, to a resurrected Ronan, to the ultimate trickster, Loki, in order to save the universe. 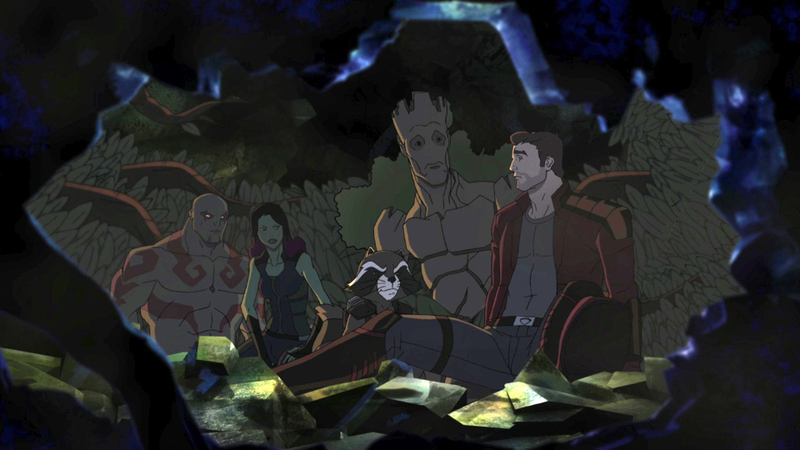 Featuring the characters introduced in the Marvel Studios film of the same name, the series stars Will Friedle (Boy Meets World) as the brash adventurer Peter Quill/Star-Lord, Trevor Devall (Johnny Test) as fan-favorite Rocket Raccoon, Vanessa Marshall (Star Wars Rebels) as the enigmatic, expert fighter Gamora, David Sobolov (Transformers: Prime) as the rough-edged warrior Drax the Destroyer, Kevin Michael Richardson (The Cleveland Show) as tree-like humanoid Groot and James Arnold Taylor (Star Wars: The Clone Wars) as leader of the space pirates Yondu and the telepathic dog, Cosmo. A sneak peek at the first episode premieres from 23rd October on the Disney XD UK YouTube Channel.